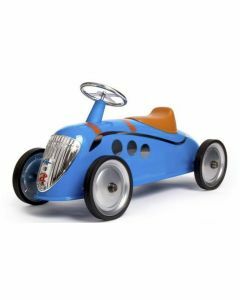 Your little tike will have a blast riding around in this legend pedal car. The French design offers a vintage aesthetic that looks adorable in any nursery, children’s bedroom, or playroom. It is made of metal and measures 37”L x 17”W x 20.5”H. Available in 5 different colors; please select color from drop-down menu below. Click on images for greater detail.